In high school, Dana started working at the Truro Heights Irving next door to Nova Truck Centres [formerly Nova Enterprises Limited], which used to be owned by the same family. In the summer he started working part-time at Nova doing odd jobs. He eventually started working with us as a Body Technician at the Brookside Body Shop and moved up to the Body Shop Manager. This August will mark 5 years in his current role as Freightliner Truck Sales Rep.
His hobbies include anything that is powered by an engine. Ron has over 35 years’ experience in selling both new and used trucks. He was initially offered a job in sales and worked his way up and through all his certifications during his sales role. He made the switch to Nova Truck Centres [Nova Enterprises then] because he was offered a job and saw the major opportunities to grow the used sales department within the company. May marks Ron’s 19th year with the company. In his spare time, Ron loves to watch motorcross racing and travels around to all the big events. He even used to help out with mechanics on some of the bikes. Garry is your Freightliner Sales guru in the metro area and is located out of our Dartmouth location in Burnside. Being an Owner and Operator, he understands the needs and wants of his customers and through his involvement in truck show and shines, he appreciates the attention to detail. He was raised in the trucking industry and started his career path by completing a Heavy Equipment Operating course, then worked in the construction side of the industry and was also an Owner Operator for 10 years. He currently has 5 years’ experience under his belt on the sales side of the industry. In his spare time he enjoys four wheeling, camping, and is a volunteer firefighter. 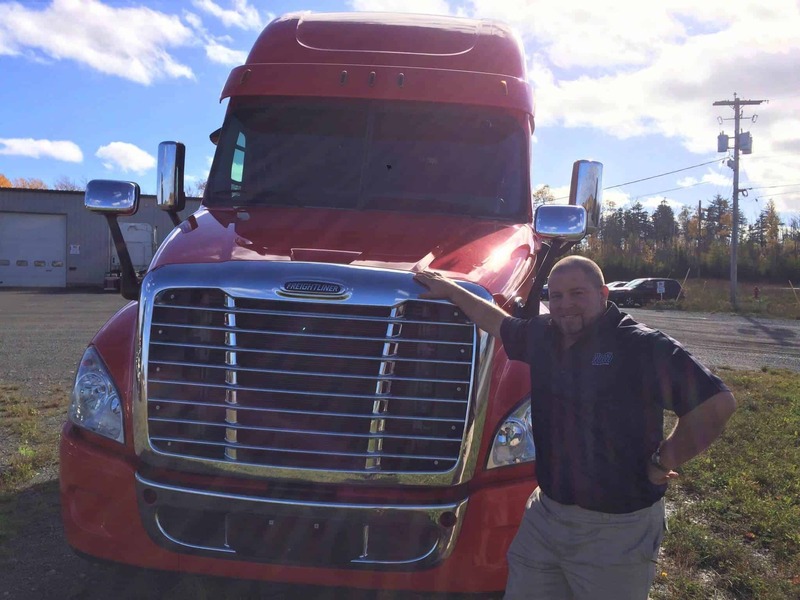 Jonathan sells Freightliner Business Class trucks covering the Westville, Truro, Cape Breton and surrounding areas. Jonathan started with Nova at 16 as Shop Hand at the Dartmouth location but quickly moving up to a Parts Specialist. After gaining valuable work experience and training, Jonathan decided this was an industry he wanted to build a career in so he went back to school for his Heavy-Duty Equipment/ Truck & Transport Repair certification. He excelled as a Technician and was the Shop Foreman in Westville before moving on to Sales. He is also the Continuous Improvement Coordinator (CIC) for Westville, which ensures that the shop is adhering to Elite Support standards and continuously improving standards and processes. As a certified Red Seal Technician, Jonathan knows his trucks and will work with customers to spec the right truck to get the job done right.